First woman in the U.S. Armed Forces to reach the rank of Four-star General. She graduated from college and was immediately commissioned as a second lieutenant in the Women's Army Corps. 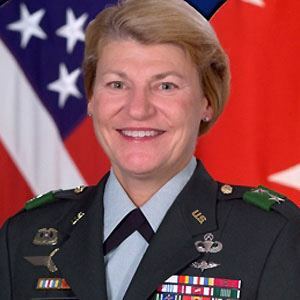 She was the first woman to command a battalion in the elite 82 Airborne Division. She came from a long line of soldiers; her brother and sister were also war veterans. She participated with First Lady Michelle Obama in a 2009 Washington D.C. forum on girls' education.